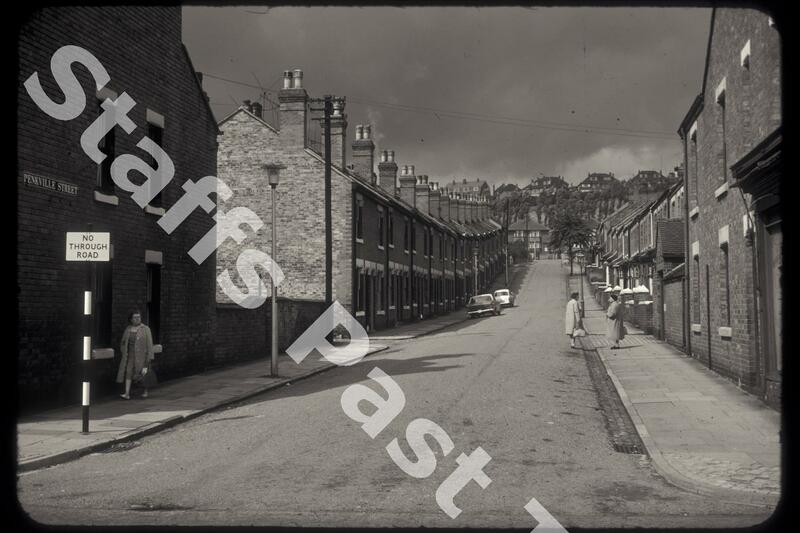 Description:Looking north east from London Road along Penkville Street towards the heights of Penkhull and the houses on Hunter's Way. This is the area known as Stokeville. 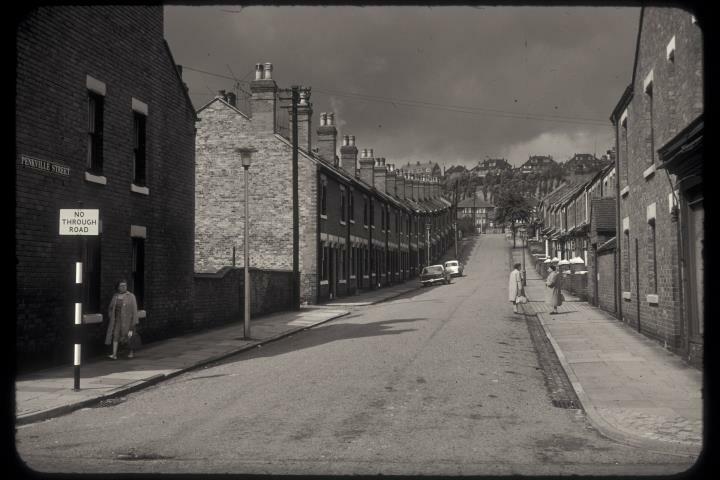 The terraced houses on both sides of the street in the foreground were built between 1900 and 1924 whilst the semi detached houses at the top of the street date from the 1930s. One or two original wrought iron gas street lampposts can be seen mixed in with more modern electric lights.